There aren't many things that say summer quite like sweet corn. This beloved but fleeting seasonal ingredient is at it's peak right now, so hit your local farmer's market, grab a few ears and fire up that grill! 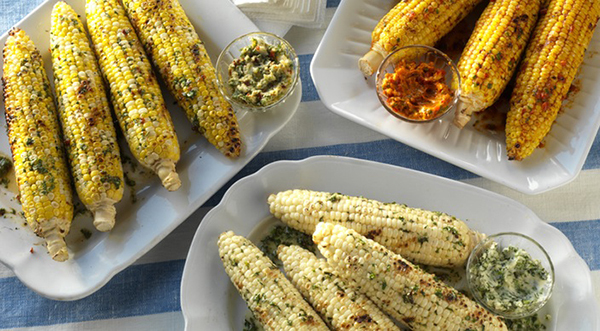 Check out these simple tips to perfect grilled corn from one of our Grillmasters. Keep the counter and your floor clean by cutting off the kernels over a bowl. 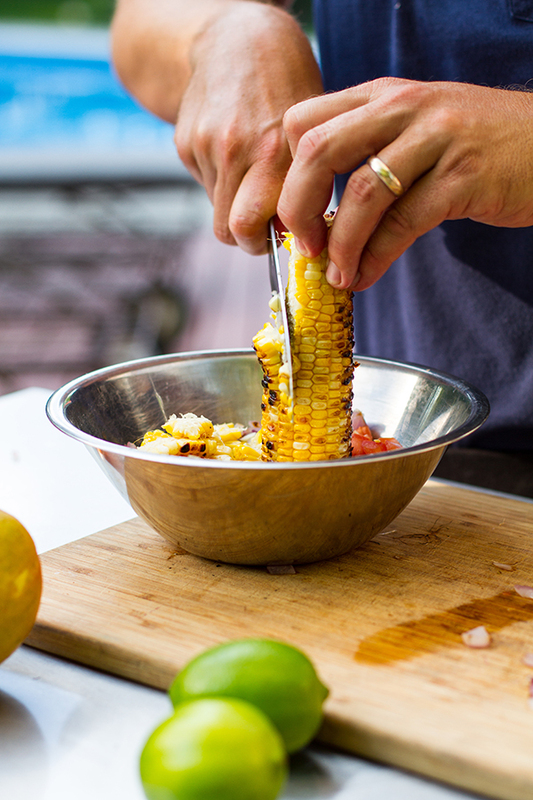 There are so many creative ways to flavor grilled corn. Here are three of our favorites! 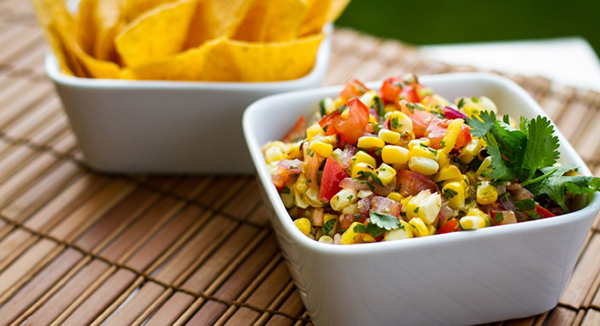 This Grilled Mango-Corn Salsa is the perfect appetizer or side dish to dip into on a hot summer day. You could eat corn without these, but why would you want to? Top your next grilled steak with this. You will be so glad you did!